The Signature on File form gives you authorization to release information to insurance carriers and request that they in turn make direct payment to your office. 100 forms per tablet. 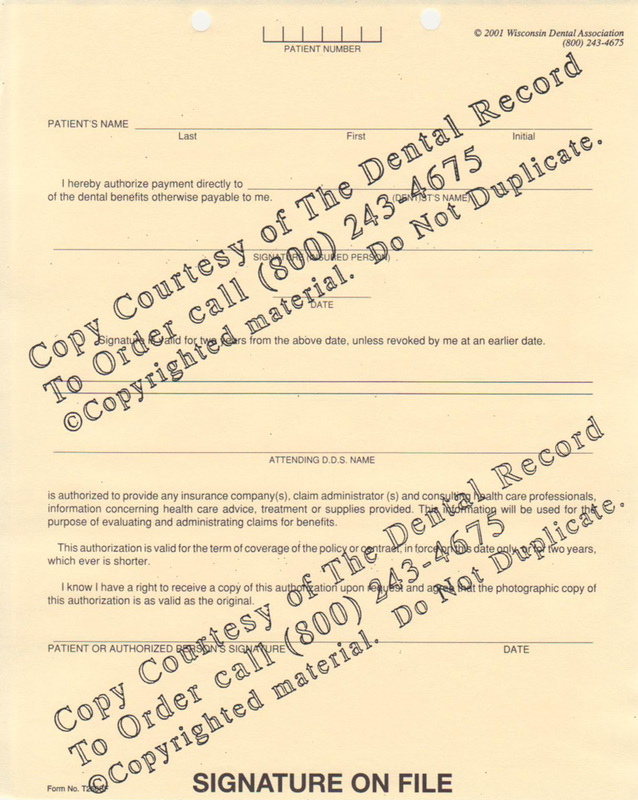 This form gives you authorization from the patient to release information to the insurance carrier and request that they in turn make direct payment to your office.